Save up to 50% on greens fees and earn rewards points for free golf! 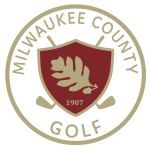 Join the Milwaukee County Golf Players Discount Program to get discounted greens fees and earn loyalty points for every dollar you spend on greens fees, pro-shop merch and carts. 1 – Join the Players Discount Program for one, two or three years. 2 – Immediately receive discounted greens fees at 10 Milwaukee County Golf Courses. Seniors (60 yrs+), handicapped golfers and Juniors (under 17yrs) receive even deeper discounts of up to 59% off green fees. 3 – Start earning points for every dollar you spend on greens fees, cart rentals and golf merchandise. 4 – Redeem your rewards points for free rounds of golf. Earn One point for every dollar you spend on greens fees. Earn Half a point point for every dollar you spend on golf merchandise. It’s simple to redeem your points. Once you’ve earned enough points for a round at any of the courses below, simply present your card at the time of payment. Points can be used anytime on weekdays and after 1pm on weekends. Points expire at the end of each golf season or December 31st. Watch for special multi-point days, exclusive offers and other promotions throughout the year. Milwaukee County Resident? You’ll receive the bonus points below when you first sign up! 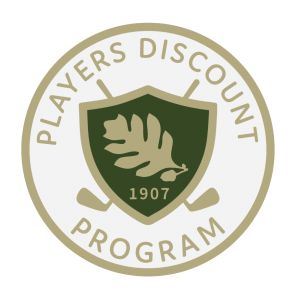 Any resident of Wisconsin, of any age, can sign up for the Players Discount Program – everyone pays the same fee to join. Milwaukee County Residents will receive bonus points when they join. You’ll also be able to sign up and pay at a Milwaukee County Golf clubhouse anytime during the golf season. You can join at any time during the year – just remember any points you earn will expire on Dec 31 of the same year. • To get the discount green fees and earn points you must present your card every time you play. • To earn points for league play please contact the Golf Office at 414-257-8024. • Points earned during the calendar year will expire on December 31 of that year. • Points cannot be earned for private group outings. • The maximum points you can earn in one day is 575. • Points may only be redeemed by the player who has earned them.